The impasse in the anti-capitalist movement after Occupy has led to theoretical stirrings over what to do organizationally, not just about the abolition of capitalism, but a positive concept of the future after capitalism. On Jan. 11 in Oakland, Calif., over 50 people packed a small room to attend the first of a series of discussions around Endnotes 3 (September, 2013), a book-length journal put out by a small group of anti-statist, anti-vanguardist Marxists. 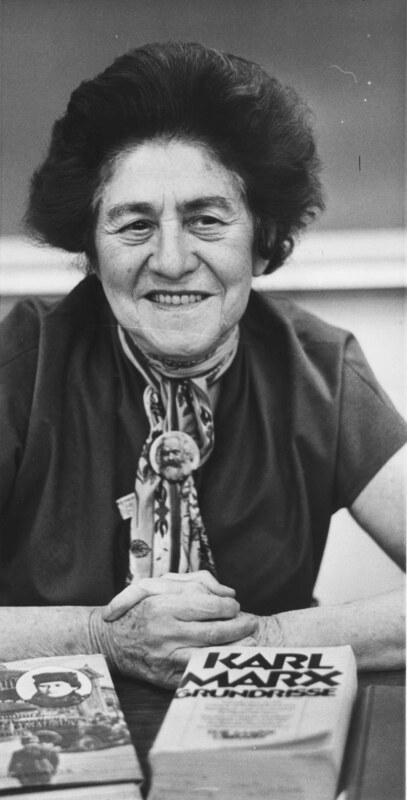 Many of the ideas elaborated in the crucial concluding chapter, “Spontaneity, Mediation, Rupture” (SMR), had already been presented by Aaron, a representative from Endnotes, in a discussion of communization theory. 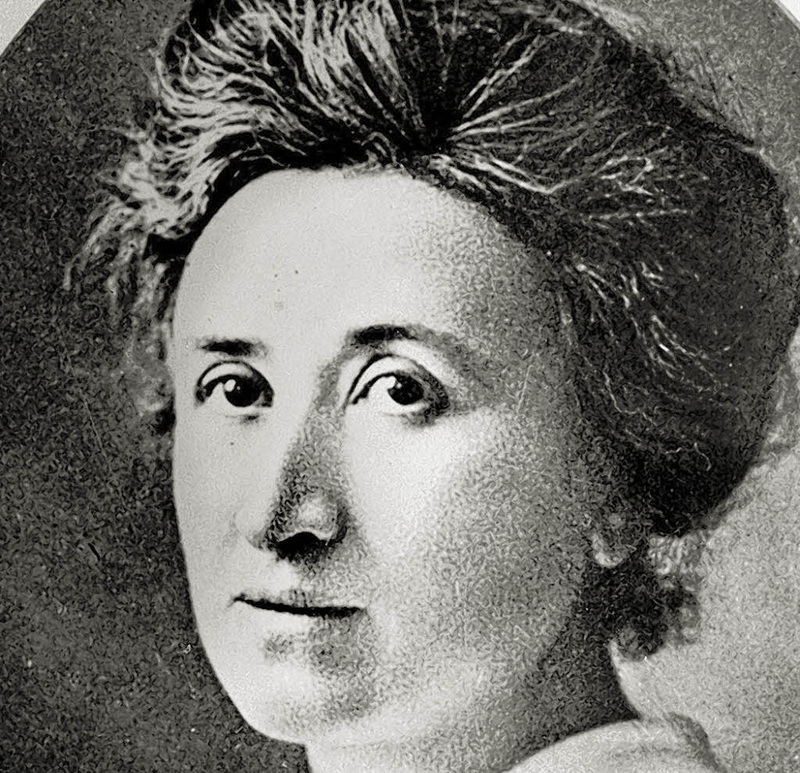 SMR investigates its title concepts in “an attempt to re-fashion the tools of revolutionary theory for our times” (229) and to face unresolved issues in Rosa Luxemburg’s view of “organization as coordination” in the “relationship between spontaneity and the party” (225). Spontaneity, the creative heart of SMR, poses that far from being lack of organization that must be given shape externally by the party, spontaneous revolts create new content, their own disruptive new forms of organization, as well as forms of struggle. Further, none of this can be known in advance. The coordination problem “is only solved in and through an unfolding sequence of struggles” (236). The “coordination problem” must tackle how seven billion humans work out their inextricably intertwined lives without the mediation of value production. This defines the role of the revolutionary organization out to make a total break with capitalism. The party of total rupture with capitalism coordinates revolutionary spontaneity’s “unfolding sequence of struggles” in a search for tactics to “finally destroy the link between finding work and surviving” (244), that is, destroy living by means of the cash nexus and selling one’s labor power in a global division of labor ruled by capital. This is not quite the positive new integral link between work and life cited above from CGP. Neither, however, is an immediate outcome or fully realized result of revolutionary spontaneity’s total rupture with capitalism. Therein lies the problem. An Endnotes 2 article, “Communisation and Value-Form Theory,” defined communization as “the destruction of the commodity-form and the simultaneous establishment of immediate social relations between individuals.” “Communization theory and its discontents truncate Marx’s dialectic” (Jul.-Aug. 2013 N&L) sharply criticized this delusory notion. In SMR “immediacy” is qualified as “merely a shorthand” for total abolition of the modern world’s self-alienating mediations, mediations like capital and the state (237). SMR acknowledges that “new mediations will inevitably be erected out of the old” (238). Yet Hegel’s dialectic of freedom, which Marx recreated in the whole, corporeal human being, means specifying the movement through the way human relations are mediated. “Mediated” human relations means they are shaped by concepts, which, in turn, determine how the world presents itself to those humans. In other words, opposition to capitalist mediation by itself doesn’t confront the dialectical moment. The dialectical moment is never only a general, abstract, merely negative opposition, but always realizes the positive in the negative, a new mediation, implied through negating something specific and concrete. Hegel’s Phenomenology revealed this dialectic in history to show that if the new is truly new, the necessary mediating movement of the positive in the negative must come to the fore. Hegel’s breakthrough came out of soberly facing contradictions in the total revolutionary rupture of the French Revolution, its total negative power of immediate thought over prevailing institutions, some of which had existed in Europe for over a millennium. Hegel’s dialectic set out to make a difference through full recognition of how new mediations could arise not just arbitrarily or by default, that is, not just be a winning faction like a Napoleon or a Stalin, emerging out of purely negative fury against the old. This self-recognized mediating dialectic shaped Marx’s practice as he engaged the new revolutionary impulses that emerged out of the capitalist epoch. SMR sums up Marx’s organizational view after the 1848 revolutions in The Eighteenth Brumaire of Louis Bonaparte as siding with the party of total rupture that engages, but is distinct from, the disruptions and organizations of spontaneity (240). But Marx saw the 1848 revolutions’ total rupture also as an attribute of the tenuous, self-critical, spontaneous content of the then new proletarian mass activity–a content, writes Marx, that far exceeded its expression, in contrast to other tendencies and their rhetorical bluster that far exceeded any actual content in their actions. The latter drew their poetry and abstract formulations from the past and came to dominate the historical stage, this time disgorging the farce of another Napoleon (the nephew) declaring himself emperor (CW, 11:106-07). Marx made such a big deal out of the unique and repressed proletarian dimension with its “prodigious” though “indefinite” aims for something totally new, that when workers’ self-activity emerged in a big way again in the 1871 Paris Commune, after being nearly forgotten in the retrogressive 1850s, pundits of the day nearly universally associated the Commune with Marx, some even imagining he was its puppet master pulling the strings from London (CW, 24:575). A less known connection to the Paris Commune was Marx’s changes to his greatest theoretical work, Capital, where Marx set out to give expression to the spontaneous movement’s “indefinite” reach for a total rupture with capitalism. Capitalism is the most abstract form of mediation where external things, commodities and capital, “contain” a social property, value, which dominates their creators for whom reality presents itself as social relations between these things. This inversion is wholly subjective and arises, says Marx, from the “form itself” as soon as the product of labor “assumes the form of a commodity” (BF, 164). Marx didn’t achieve such a clear articulation of the wholly subjective root of inverted capitalist reality until the Paris Communards showed how masses could totally reorganize their lives together, each one experiencing the world they created as part of their own freely associated activity. Marx’s “party” was giving philosophic expression to the self-activity of the Communards, their creation of new mediations through freely associated labor. Marx never separated this philosophic approach, which looked at the positive aspect of mediation on the other side of the commodity-form, from the problem of coordination. “Communisation and Value-Form Theory” claimed that the “connection between the value-form and fetishism–the inversion where humans are dominated by the results of their own activity–did not play much role in the interpretation of Capital until the 1960s.” The article is certainly correct that most “Marxists” hadn’t gone beyond the value-form of political economy to ask, as Marx does, why political economy “has never once asked the question why this content has assumed that particular form, that is to say, why labour is expressed in value, and why the measurement of labour by its duration is expressed in the magnitude of the value of the product.” However, in the 1950s Raya Dunayevskaya not only singled out Marx’s question but went into detail on the ways Marx’s philosophy reached such explicitness only in the version of Capitalafter the Paris Commune (see “The Paris Commune Illuminates and Deepens the Content of Capital,” Marxism and Freedom, Bookman, 1958). Marx’s concept of the party was not just a coordinating committee for total rupture, but always looked to spell out the positive dialectical moment of mediation. This urgency shaped Marx’s concept of a revolutionary organization, even as he fully appreciated the necessary, but nevertheless momentary, popular forms of organization like the Commune, emerging later in new forms like Soviets or Councils. Thus, after his engagement with the self-activity of the Communards, Marx returned to the philosophic ground of his 1844 Humanist Manuscripts, in his most directly organizational document, CGP. Marx addressed what he said the Communards never got to, namely, releasing “the elements of the new society” (CW, 22:335). Marx first introduced his CGP organizational principle of a new unity of life and labor in 1844 as the determinate character of being human. Humanity’s species character is human activity as free, conscious, life-affirming activity in contrast to labor as a mere means to life (CW, 3:276). This concept is labor as human activity, in distinction from alienated labor under capitalism as well as all the pre-capitalist forms in which labor is “mediated by the community.” Neither of these, as Marx restates his founding principle in the Grundrisse (an early draft of Capital), develops “human power as such…an end in itself…in the absolute movement of becoming” (CW, 28:412). Marx’s concept of labor, as he made clear in 1844, is not unilinear or unidimensional. It is rather all the ways humans materially and spiritually reproduce their humanity as free conscious beings. Indeed, the most fundamental relation is man/woman (CW, 3:296). Beginning in 1844 from his concept of human activity, Marx reengaged Hegel’s dialectic directly, calling the “dialectic of negativity as [the] moving and creating principle” thePhenomenology’s final result and greatest achievement, which “grasps the essence of labor and conceives of objective humans…as the result of their own labor” (CW, 3:332-33). Further, Hegel’s dialectic of negativity is not just total opposition but is “negation of the negation” which Marx calls “positive humanism beginning from itself” (CW, 3:341-42). Positive humanism is a mediating negative self-relation that finally goes beyond external “mediations” like collective property or atheism in which one is still defined by what one opposes. Hegel’s way of expressing this at the end of the Phenomenology was to show that totally new beginnings can arise only when the movement becomes a “conscious, self-mediating process” (para. 808). That speaks even louder for the dialectic of negation of the negation as the humanist principle which never changes but is open to new ways of developing our humanity, that is, is never exhausted in particular moments of unity in difference whether one speaks of capitalism or the reach for new unities in forms, like the Commune, Councils, a Solidarity Union, etc. Philosophy as dialectical mediation is a crucial link to working out the new, which cannot be, as SMR claims, only a “practical problem” that “must be theorized within the struggle.” It is rather a movement from theory that both challenges the movement from practice to realize its full potential and articulates that potential as the conscious practice of the dialectic itself. To stop at total opposition to, or abolition of, existing mediations, misses the essential movement that it is not from but through mediation that one gets to both rupture and recognizing the new, not as a ready to hand given but as having emerged from within. Nothing is more crucial for addressing the problem of “what happens after” the revolution than the dialectic in and for itself, which means mediation that recognizes itself as such. Only then will a total break with the past, a total discontinuity, be as well a continuity with the whole course of human development. 2. For an in-depth discussion of how Hegel confronted this paradox, see “Harris’s Paradox and Dunayevskaya’s New Beginning: Can Hegel’s Method Shape a New Unity of Theory and Practice?” CLIO 32:3 (Spring, 2003), 303-330. This entry was posted in Marxist-Humanism and tagged 1844 Economic-Philosophical Manuscripts of Karl Marx, 1848 revolutions, alienated labor, capitalism, Communisation theory, Communization theory, coordination problem, Critique of the Gotha Program, dialectic of negativity, dialectical mediation, Endnotes, G.W.F. Hegel, Grundrisse, Hegel's Phenomenology of Mind, negation of the negation, Occupy Movement, Occupy Wall Street, Paris Commune of 1871, Raya Dunayevskaya, Rosa Luxemburg, Rosa Luxemburg Women's Liberation and Marx's Philosophy of Revolution, spontaneity, The Eighteenth Brumaire of Louis Bonaparte, What happens after revolution, women's liberation. Bookmark the permalink.